Two months into this blogging game and I think it’s about time for a beauty post don’t you? 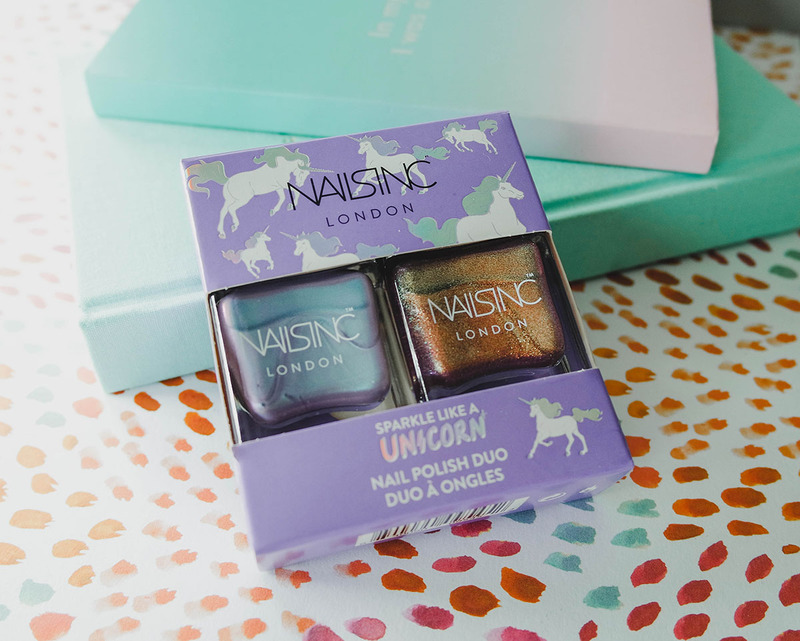 I’m starting with Nails inc’s Sparkle like a unicorn nail polish duo. When I first saw these on their Facebook page I knew I had to have them, I’m a BIG fan of anything “unicorn”. If its stationery that’s an added bonus, if I can WEAR it, even better! I have a massive stash of Nail inc polishes and alas I procrastinated for too long and by the time I looked again that evening they were sold out, sold out EVERYWHERE. I was gutted. I don’t buy a lot of polishes as I tend to wear one colour all the time (Hampstead Grove if you’re interested). For these, however, I had been willing to make an exception. I mean look at them! I had to wait a good month before they finally came back into stock, and when they did (on my birthday, fate or WHAT!) I didn’t waste any time, I got my order in STRAIGHT this time, I wasn’t missing out! As soon as they arrived I was eager to try them out and experiment. On closer inspection, the colours were even more vivid than I had first thought. The paler colour was very light. It took a good three coats to get an even coverage, but when you did it was a lovely effect as the colour change from blue to purple as they catch the light. The second colour was still nice but I think I’ll keep it for my toes and as an “accent” nail colour, it was a little too “loud” for me to use all over for day to day wear. Interestingly this one was a “one coat wonder” so I can see I’ll be running out of one well before the other. Overall I’m really happy with the set, I’ve worn it for a few weeks now and lots of people have commented on them and asked where they are from. It’s a new fav for me, grab yours now before they sell out, it’s still a limited edition! What do you think of the colours? Have you tried them? I’d love the hear what you think. 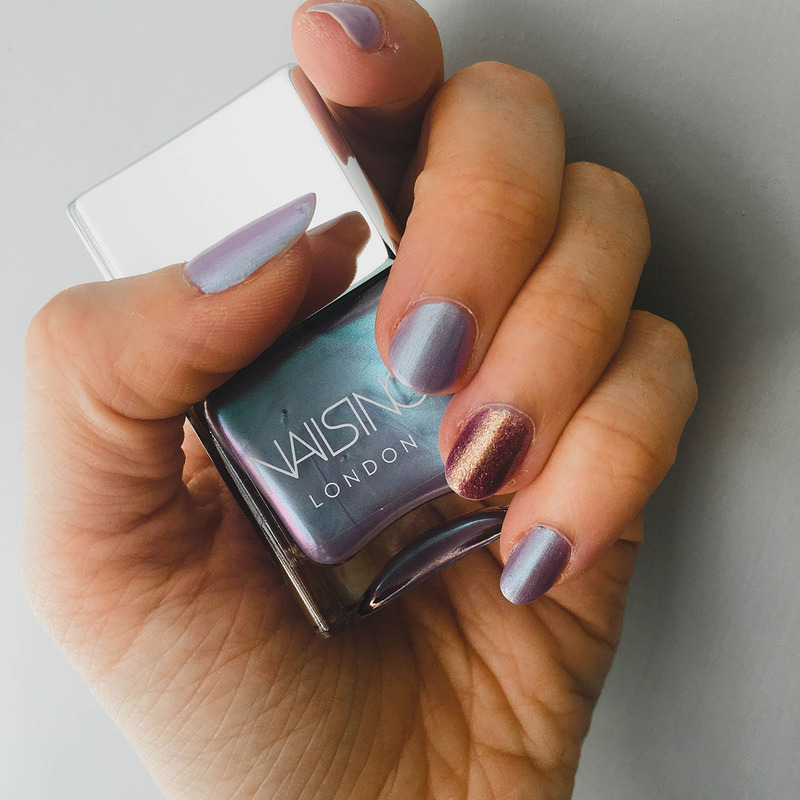 I have heard loads of people talking about this nail varnish brand! everyone seems to love it! I also followed you on Instagram! Oh my lord that nail polish! I need it in my life like right now. Those colours are just stunning, the first colour would be my favourite, love the shimmer in them! or mermaids, then I’m allllll over it ? Loving the look of this set, gorgeous colours. I just painted my nails a purple from a Rimmel collection but don’t have much selection of nail varnishes at all. I want to stock up on more Autumnal colours as I have a lot of pastels, these look like they’ll do the job in the next season. 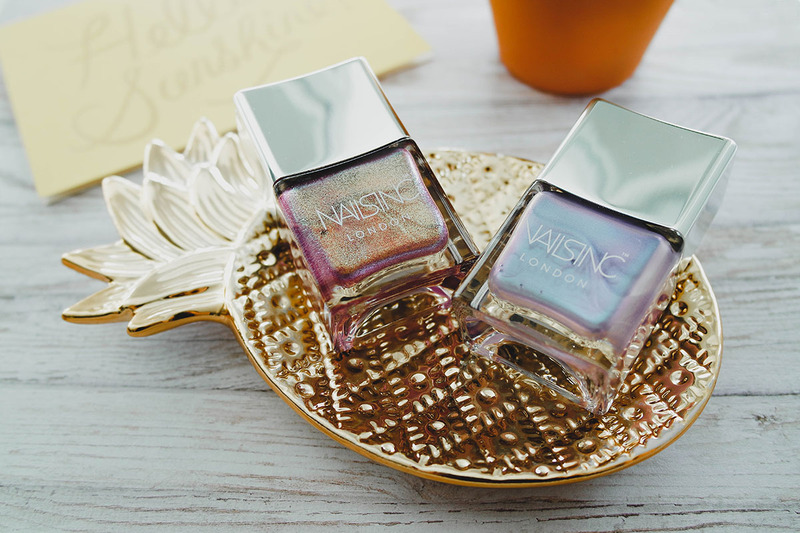 Ohhh this is such a gorgeous set of polishes! Unlike you I have millions of nail polishes I’d love to add these to my collection though! I actually really like the shade on your ‘accent’ nail! I’m a huge fan of unicorns too, and have kept my unicorn plushie that was a Christmas gift about ten years ago. Im loving the look of that pale shade! since this post I’ve been wearing the pinky one alot more, it’s growing on me! Nail Inc has some great series of shimmer nail polish. The quality are amazing and you won’t get to sad about not finding a good set of nail polish for your weekly nail art designs.